We left Banbury at 10 am to start our ‘Summer Cruise’ which is planned to be rather longer than previous years. As we were leaving the town we passed nb Hadar headed in the opposite direction. The dredger which we had followed out of town stopped to offload its cargo of sand/cement bags for their colleagues to repair the edge of the towpath opposite the geese and the donkeys next to Malc & Dinks house and then we were out into the countryside. 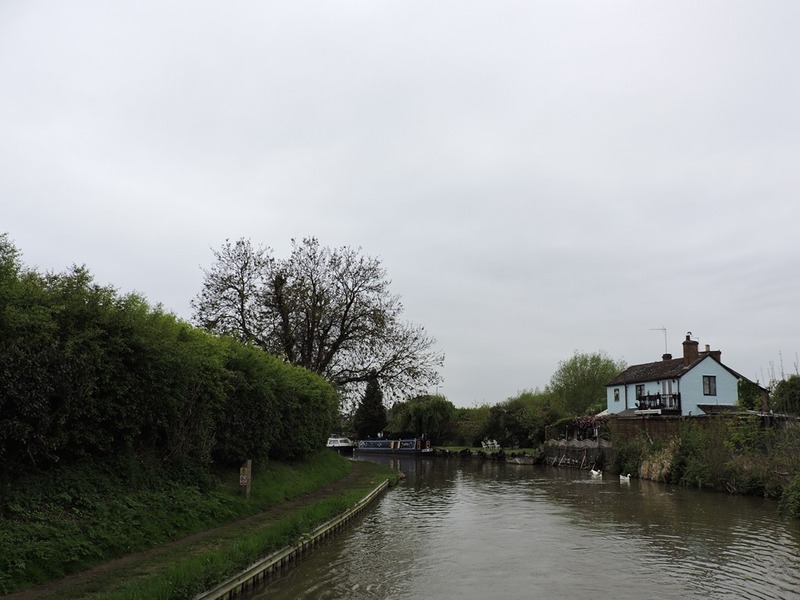 By the time we reached Hardwicke Lock the dredger had caught up with us and followed us through the next couple of locks the crew helping us with paddles & gates. However, I had just set Slat Mill Lock when we collected a piece of carpet around our prop, so we waved the dredger past while I cleared it. Nearing Cropredy we passed our friends on Maid of the Mist, as we approached Cropredy bridge we saw our first ducklings this year followed by various other livestock! 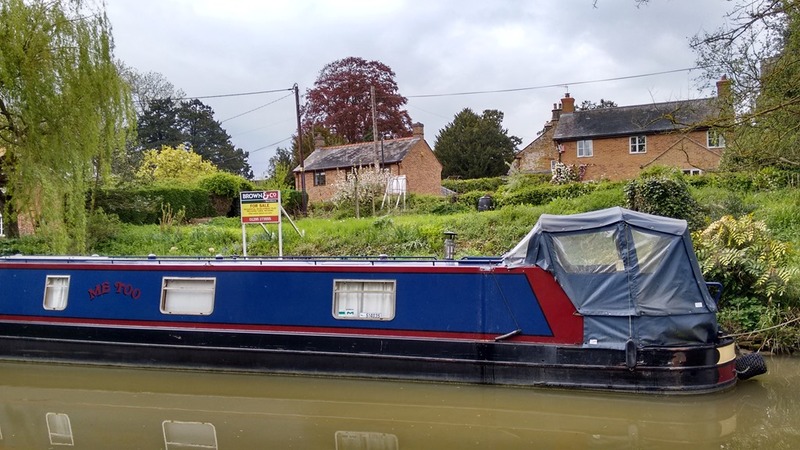 The building plot between the bridge and the lock is still for sale, perhaps unsurprisingly for a small sloping plot with a £225,000 guide price even if it does have an End of Garden mooring. See Brown & Co website here. 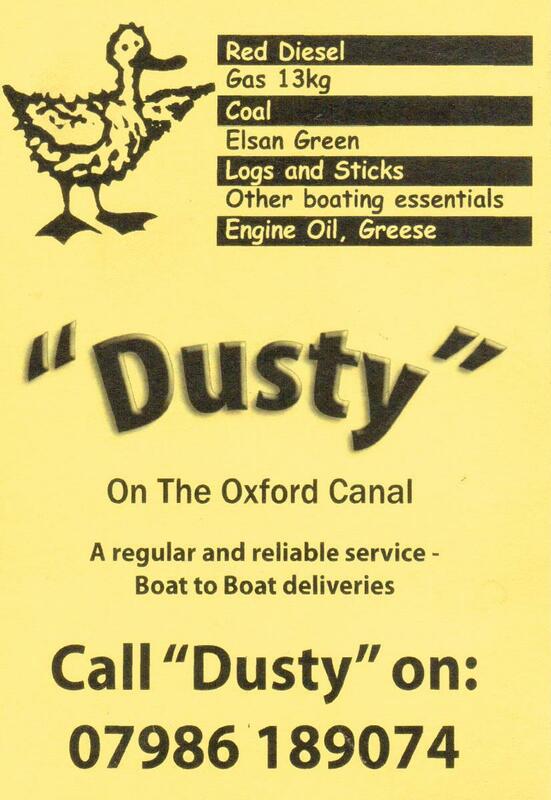 As we needed a pump out & a bottle of gas we went on to Cropredy Marina who were unfortunately on lunch, however a kind boater who had finished his pump out allowed us to use the remainder of his time and the machine was still pumping after finishing emptying our tank. 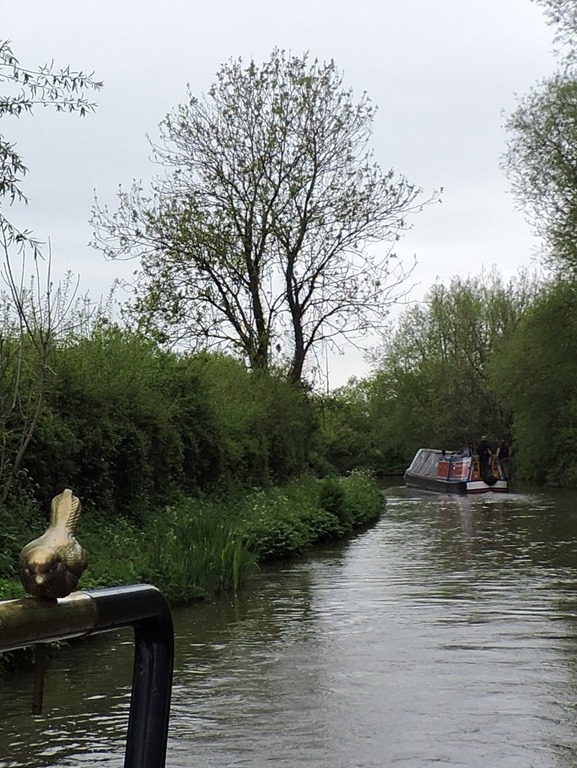 We retraced our route back towards Cropredy lock and moored up just before the drizzle became heavier.